I use Gmail. 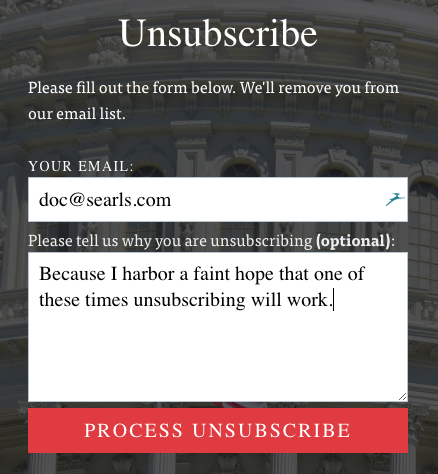 I’ve stopped worrying about unsubscribing, especially the political emails. You say stop, they never do. 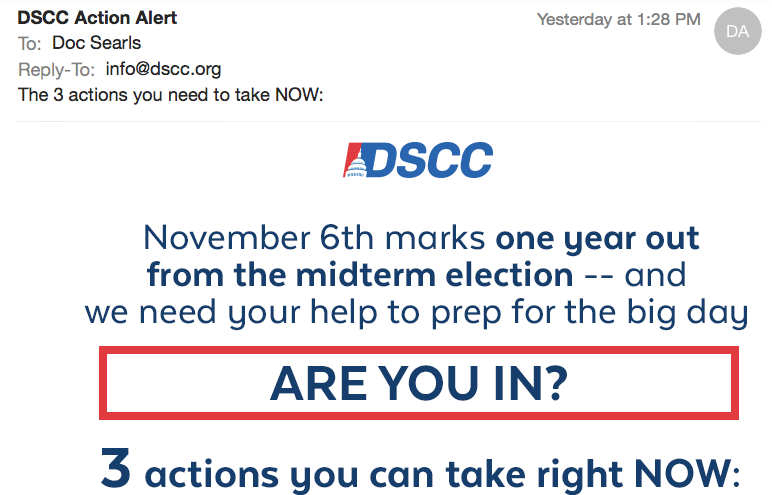 Mark it as spam, and never see it again. New address they’re using. 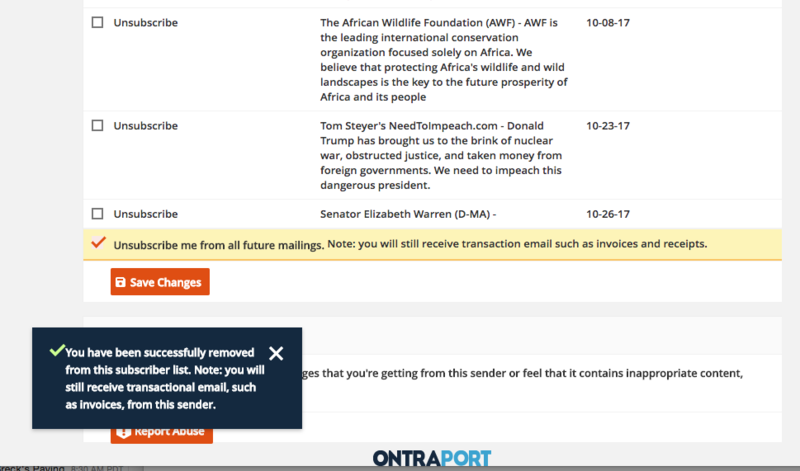 Hit spam (and do NOT unsubscribe, even if Gmail wants you to) and forget it. Alas, I’ve avoided Gmail ever since something went wrong with its SMTP server for me, and it can’t seem to get fixed. 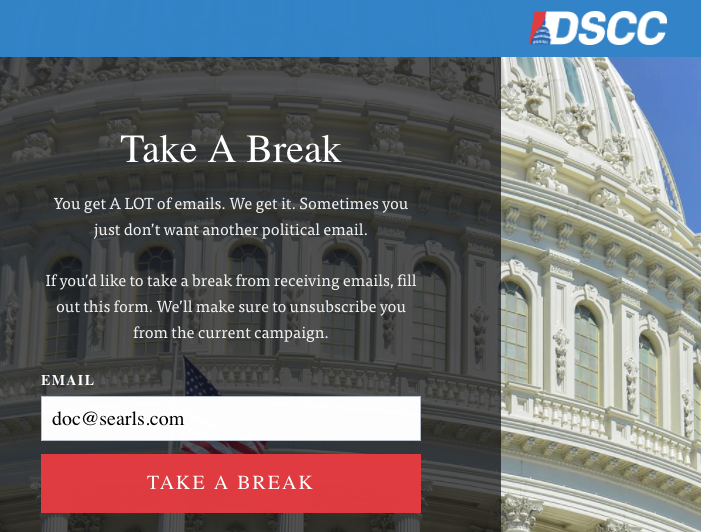 But I’ll try marking them as spam in my searls.com account, which gets most of the political crap, and is on a Rackspace hosted server. I experience similar challenges with many retailers Doc. 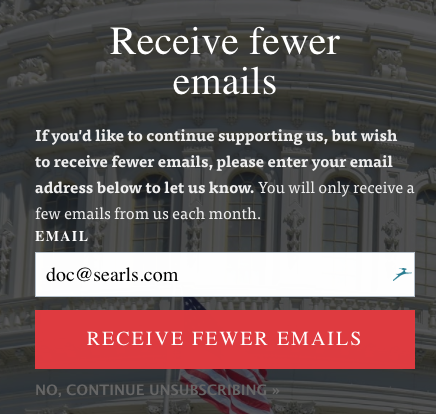 It is like the unsubscribe request goes into a black hole. Although I have not been as studious as you to screen cap examples, your post is inspiring me to do so. 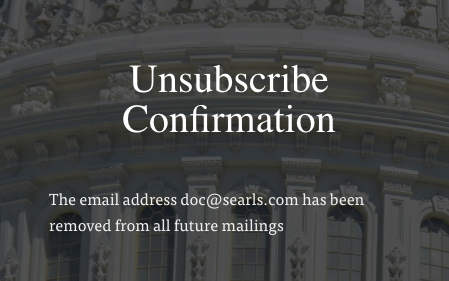 I can specifically recall receiving a daily dose of holiday offers from Hickory Farms and the unsubscribe never worked. Aren’t there financial compensation statutes for impacted consumers under CANSPAM?